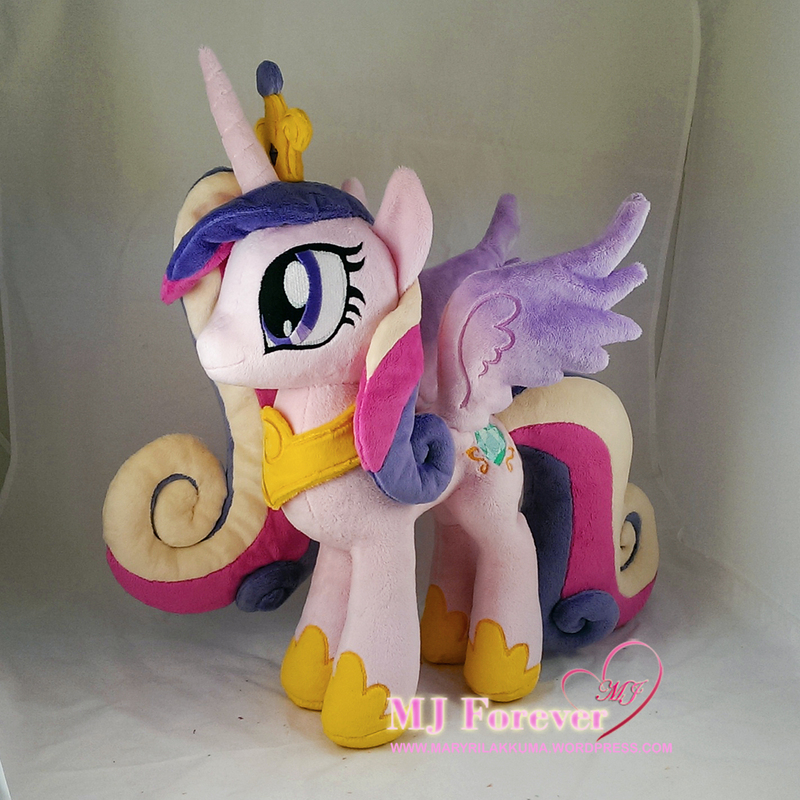 Princess Cadence is totally the best princess! 😉 It was love at first sight really, and I adore what she stands for too! 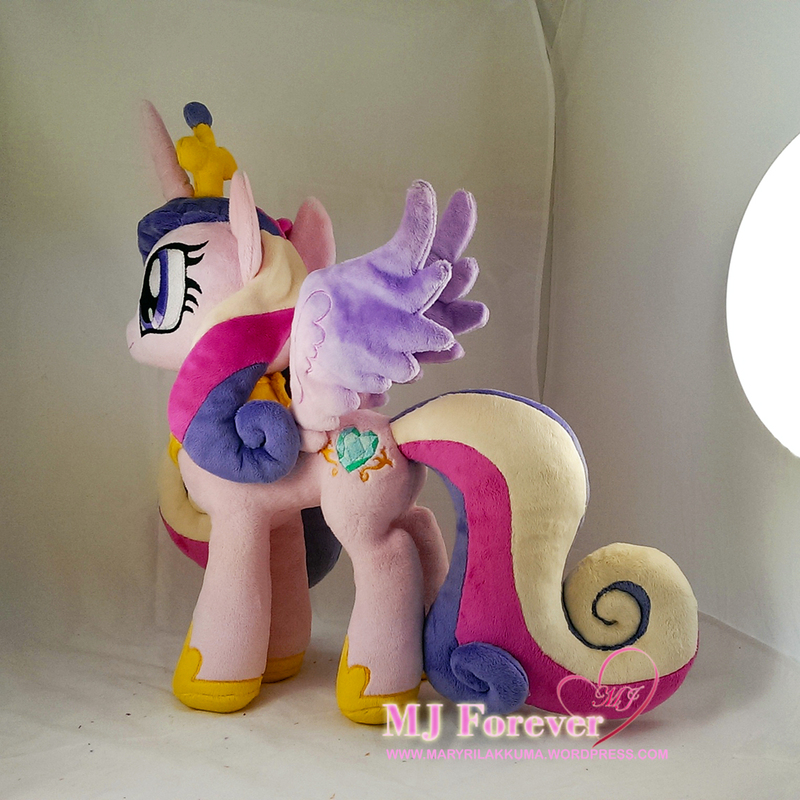 I’ve suffered countless issues trying to commission her (and Shining Armor as a couple) but after 9 months of patient waiting, I finally have her in plushie form! This is really a milestone for me :P.
Her crown and necklace are removable via magnets 😀 I’ve also requested for a “kissing magnet” to be attached in her snout 😉 because I plan to commission Shining Armor in the future (and also Princess Celestia!!!!!!). 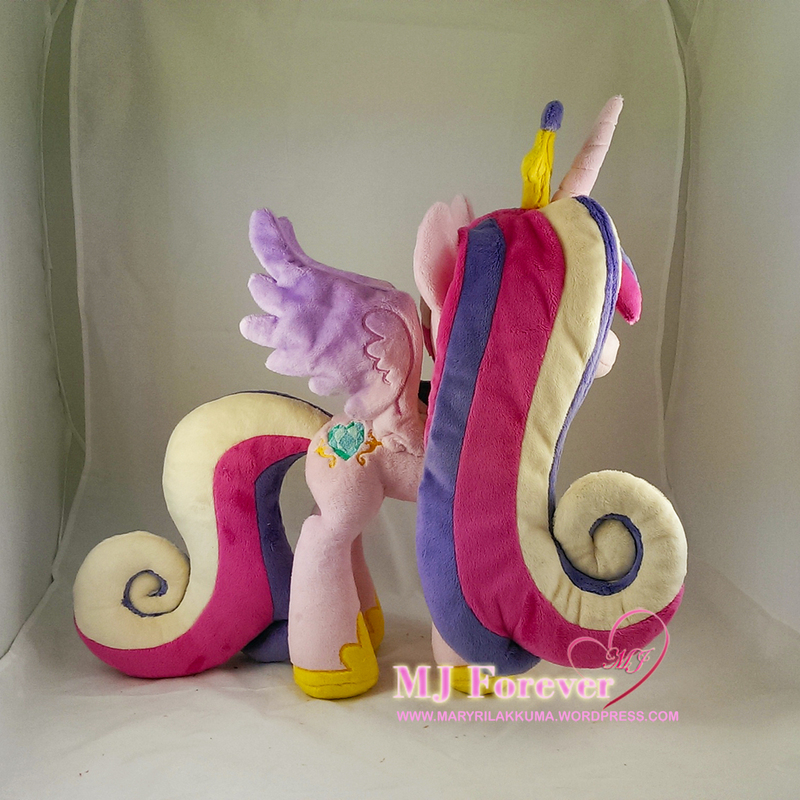 I especially love how 3D her mane/tail are! And I also adore Little-Broy-Peep’s princess pattern! Definitely one of the best out there! 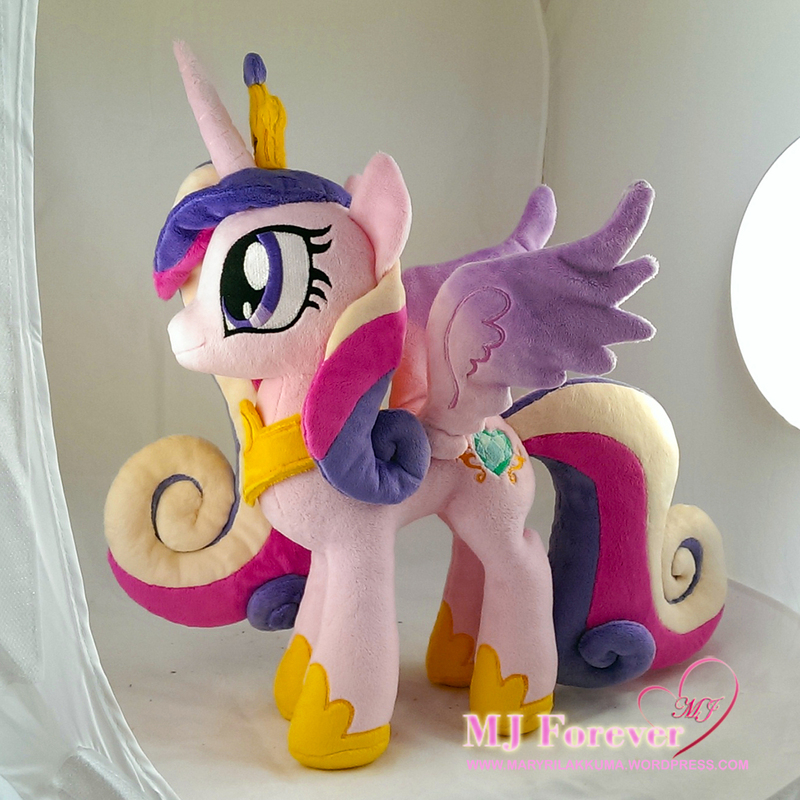 These girls are so inspirational 🙂 I hope to be able to plush like them one day 😀 and my “plushie lifetime goal” is to plush Princess Cadence! You did it!! Wow I’ve missed a few so I’ve been checking everything you’ve been up to. 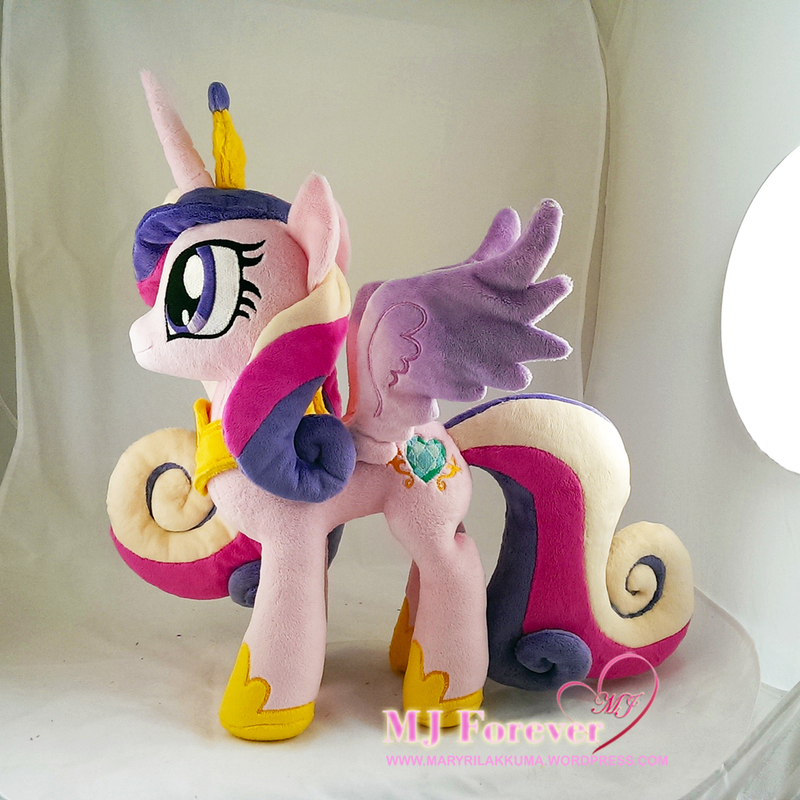 I’m so amazed at Princess Cadence’s beauty and your skills, it’s been a while since I commented sorry. 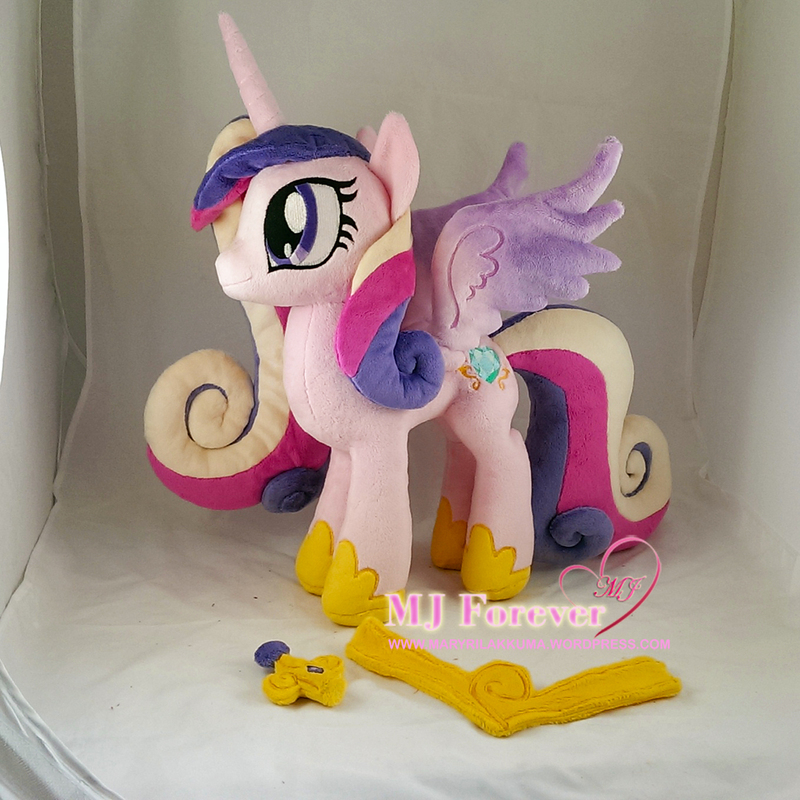 You have such a huge collection that’s so awesome makes me want to try sewing one (but I am too horrible at that kind of stuff XD ) I started collecting the MLP figures G1-G3 do you collect those as well? 😀 I’m glad everything is going well with the ponies and your family. Oh also Have you seen the Space Rilakkuma series? Super cute!! Thank you so much Ariel! Great to hear fron you again! 🙂 unfortunately, I’ve pretty much lost interest in Rilakkuma, so I’m very out of date xD thank you for liking my work! I really enjoy it and I can’t wait to sew more when I change to parttime work from next year 🙂 hope you and your kumas are doing well! Did you read my replies? I’ve already answered you multiple times. If you carry on spamming like this, I will flag your comments for spam.